Please click on a category below to view products. Not sure exactly which product(s) you need for your corrosion protection? Have an idea how to protect your project from rust but just not quite sure? We're here to help you. Fill out this form describing your application the best that you can. If we have any questions we will contact you for specific information. Then, based on our 25 years experience, we will suggest to you what products you'll need and how to do it. After you've submitted the form have a look at our 'how to..' presentations describing several different types of applications similar to your requirements. Have a look at our VCI Packaging Design guidelines and Export Packaging Design presentation. If you have some flexibility in your requirements this is the place to look for bargains. This month we have specials on VCI film rolls, Nox-Rust 3100 in aerosols and 5 gallon pails, vci tubing on roll, rust remover, vci emitters and more. VCI paper for industrial / commercial corrosion control packaging. VCI paper rolls, VCI paper sheeting. In stock. We have VCI paper for multi-metals, ferrous, steel, cast iron and aluminum. Also in stock specialty paper for aluminum, copper, brass and silver. We have it all right here in stock, ready to ship it to you fast. Heat Sealable VCI Bags VCI Zipper bags VCI Gusset bags Perforated VCI bags on a roll VCI Sheets on Roll VCI film sheeting VCI Shrouds VCI Stretch film & VCI hand wrap VCI Bin liners (in stock) VCI Tubing and your custom designs. VCI EMITTERS extend the working lifetime of electronics, reduce corrosion of all types of metals inside panels, circuit boxes and enclosures. VCI Emitters are compact devices available in open cell foam, sheeting, pouches, sachets, pipe inserts or easy to install adhesive backed domes. VCI emitting devices protect switch gear, electronics, enclosed packages, piping and electronic panels. Dome style inserts are made of a sturdy, moisture resistant poly. In stock. Mil Spec products for corrosion control. Military specification corrosion control coatings, military specification anti-rust packaging, VCI emitters and foam inserts. Federal specification packaging and lubricants. VCI corrosion inhibitors and corrosion control coatings that can be removed or left on for additional corrosion protection. Ideal for hydro-testing, metalworking fluid additives for corrosion protection, short & long term storage or layup of enclosed vessels and many other uses. VCI powders are applied by dry fogging into an enclosed vessel or as an additive to other water based fluids such as test baths, hydro-testing solutions, metal washing compounds or as a final rinse in a production line. Appearance is a white crystalline powder. Powders provide long term corrosion control. Easy to use VCI Corrosion Inhibitor additives for water, oil, fuel and other liquid formulations provide VCI corrosion protection. Ask about our VCI masterbatch or varnish additives for VCI packaging. Corrosion Protection VCI products for cleaning, degreasing, lubricants and water treatment for corrosion control in machining & metalworking operations. Corrosion protection for electronics and electrical applications including vci sprays, vci insulative coatings, VCI packaging, vci emitters, inserts and static dissipating packaging such as anti-static pink bags, tubes, film or black conductive film. Vapor barrier laminated polypropylene, aluminum foil, polyethylene and pet film on rolls. Stock and custom made bags and shrouds available. Dispensers for paper, poly or tubing on rolls. Steel dispensers sit on a table or stand for easier handling of paper or poly rolls. Heat Shrink Pallet Bags/Covers Non-VCI in Stock. Regular poly heat shrink pallet bags hold cargo securely in place. Adds an extra layer of of PE film to keep dust and contaminants away from your package contents. 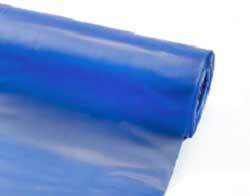 Need some VCI Paper or VCI bags or VCI sheeting in size that we do not have in stock? Something in a size, thickness or added strength that exactly fits your requirements? We can make it for you. With the fastest turnaround time in the industry for custom made VCI poly we can help you out. Use our custom quote form and tell us about your application, how many units you need and the size that will work well for you. We'll respond with a quotation and the lead time to get the right VCI product for the job.